LOS ANGELES—Citing flagging ratings and a desire to retool its Thursday night comedy lineup, NBC announced today that Piven, the half-hour sitcom starring Jeremy Piven as a hotheaded actor on the verge of breaking into the A-list, would not be renewed for a sixth season. 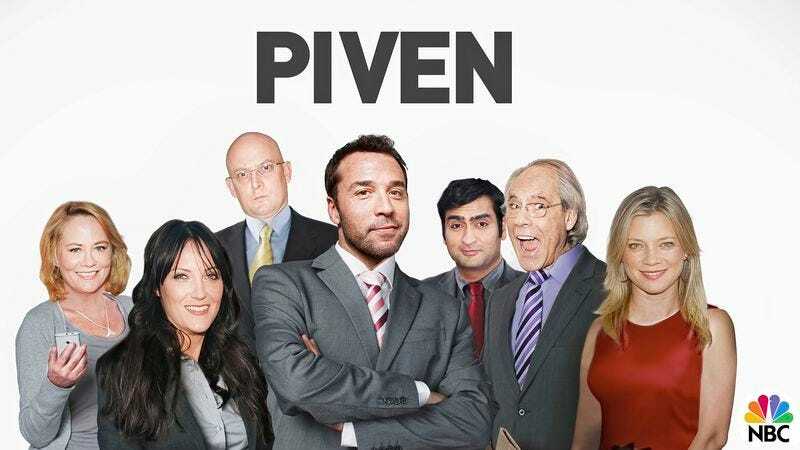 “Piven always had a strong cult following, but unfortunately it never found a wide enough audience long-term to make it profitable for the network,” said TV Guide’s Matt Roush of the ratings-plagued show, which reportedly suffered from several time slot reshuffles, off-set problems with costar Robert Klein, and an uneven first season. “The show got a lot of mileage out of the will they/won’t they thing with Jeremy and Michelle, but once that got resolved in the fourth season, the ratings never really recovered. And once it was announced that fan favorite Cybill Shepherd, who played Piven’s mother, would not be returning for another season, that was pretty much the final nail in the coffin.” At press time, Deadline.com had reported that the actor is slated to make a midseason return on CBS’ Jeremy.